India’s Largest Ecotourism Destination – Corbett Park! Vacations are sometimes for relaxation and sometimes for adventurous trips with your families or friends. If you like adventure, the best place for you is any forest or a national park like Corbett Park. 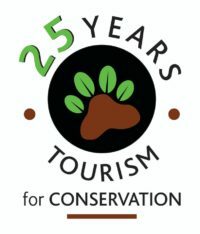 One of the most popular and oldest forest locations where we get to see the protected endangered Bengal Tiger, Jim Corbett National Park is a part of Corbett Tiger Reserve Project. The Corbett National Park India owns the glory of being the most prestigious National Park. In this forest, only the first project tiger was launched in the year 1973. To know about the Corbett park location, you have to be aware of the Corbett national park geography. Corbett Park is located in Nainital in the district of Uttrakhand. It was first found in the year 1936 by the name of Hailey National Park. After independence, this park was known as Ramganga National Park, and later in 1956, it was renamed as Corbett National Park after Jim Corbett. The Corbett Park Nainital is one of the renowned Wildlife sanctuaries in India protecting the Royal Bengal Tiger. The Flora and Fauna of the Corbett National Park are very rich and include almost 488 types of plants and a wide variety of wildlife. The Corbett National Park animals list includes Elephants, Tigers, Sambar Deer, Chital, Gharial, Nilgai, King Cobra, Wild Boar, Muntjac, Hedgehog, Flying Fox, Indian, Pangolin and also around 600 species of birds. 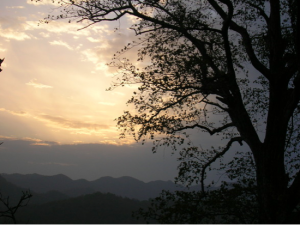 The Corbett National Park Core area ranges to 521 square kilometres. This Park acts as a highly protected area for the most endangered tiger species, the Royal Bengal Tiger. It attracts thousands of national and international tourists every year from in & around the country. With impressive landscapes, this Corbett National Park is situated in the foothills of the Himalayas. The Corbett National Park attractions include adventure treats, camping, bird watching, angling, animal safari and much more. For those, who go for a planned trip, Corbett Park packages are available for easy moving and fruitful trips. Corbett park booking is also available online and in advance. Jhirna: One excellent bird viewing location in the Corbett National Park is this place. It is very densely wooded grassland. This place is also a habitat for Hornbill, Sloth bear, wild elephants and growing tiger population as well. Bijrani Safari Zone: Because of the profuse natural beauty and wide grasslands, this place is highly popular amongst the tourists. Delta Safari Zone: The newest Ecotourism Zone in the Corbett National Park was found in 2014. Because of the rich Flora and Fauna distribution, this area attracts maximum of tourists every year. Dhikala Zone: This is a very popular region in the entire Corbett National Park for its rich natural beauty along with presenting the best view for Fauna in the Park. Durga Devi Zone: For bird watchers, this is the heaven on earth. The nearest approachable place to Jim Corbett National Park is Ramnagar. This small city is very well linked by rail and road from major places like Delhi, Moradabad, Nainital & Bareilly.